Beach lovers will find plenty of options in Massachusetts. By some counts, there are more than 100 places to choose from. So, how will you choose the perfect waterside spot for your summer adventures? Which Massachusetts beaches are truly the best of the best? Here's a look at the standouts—the Massachusetts beaches worthy of a trip from anywhere. Year after year, the one New England beach that sneaks onto Dr. Beach's list of the Top 10 Beaches in America is this Cape Cod gem in Eastham, Massachusetts. 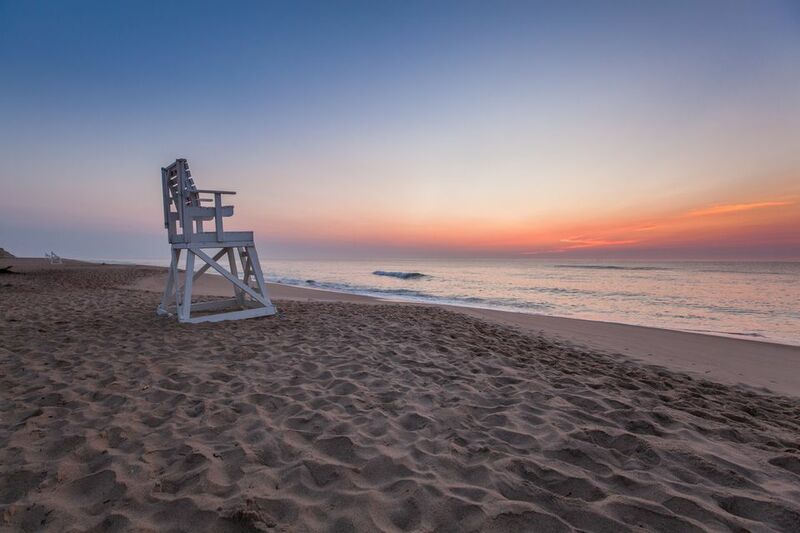 Coast Guard Beach is the most attractive and invigorating stretch of sand within the Cape Cod National Seashore, and it's the most visited of all of New England's national parks. During the summer, you'll need to catch a shuttle bus from the Little Creek parking area to access the beach, which also has a historical claim to fame. This was the site of the Pilgrims' first landfall, 65 days after these freedom seekers set sail from England. Ocean water stays nippy here all summer, but the views of shivering dune grasses and the old Coast Guard Station make this steep beach sliding into the sea a picture-perfect place to be. Gloucester, Massachusetts, is still very much a working Atlantic seaport, but it's also a fine place to play on the beach. With powdery white sand and invigorating surf, Good Harbor Beach is the star among the city's seven well-maintained beaches, and crowds cool off here on summer days. At low tide, it's possible to venture out to Salt Island via a land bridge. Views of Gloucester's Twin Lights add to the beach's charm, and even in winter, it's a gorgeous spot for a stroll by the sea. Stay at Blue Shutters Beachside Inn, and you're steps from this pretty beach, which is perfectly framed by picture windows in the inn's living room. Gentle waves and miles of sugary white sand make Crane Beach on the Crane Estate in Ipswich, Massachusetts, a cherished summer escape for families. There's more to do here than sandcastle-building and bodysurfing. Hike more than five miles of trails over dunes and along the shore. Tour the Great House at Castle Hill on the Crane Estate, a 59-room mansion built in 1928. If you stay overnight at the Inn at Castle Hill on the Crane Estate, you'll get a taste of what luxury seaside living was like in the early 20th century. Follow Crane Beach on Twitter for news of parking lot closures and greenhead fly activity—these biting insects are particularly prevalent in July, and they steal the joy from a day at the beach. In Manchester-by-the-Sea—the Massachusetts North Shore town made famous by the movie that earned Casey Affleck an Oscar—you'll find one of the world's few "singing" beaches. Yes, the sand here (at least the dry sand away from the water) squeaks out a tune beneath your bare feet as you shuffle along. There's a scientific explanation for this odd phenomenon, but it's complex: Humidity and the shape, size, and silica content of sand grains all play a role. Parking near the beach is tricky and expensive on peak summer days, so arrive early or consider taking a train from Boston. Although the musical sand gets all the hype, you'll also appreciate the clear water and rocky cliffs that bookend this half-mile beach. Yes, there is a beach right in downtown Boston. Nevermind that it's a 20-minute ferry trip from the mainland. That's just enough time to shake off the stresses of city living or traveling and transition into island mode. From the lifeguarded beach on Spectacle Island—one of the popular destinations within the Boston Harbor Islands National and State Park—you'll look back at a spectacular view of Boston's angular skyline but feel a world away. A municipal dump from the 1920s until 1959, Spectacle Island was capped with 3.7 million cubic yards of "Big Dig" dirt during the completion of this famous 1990s infrastructure project. Now, it's an environmental success story and a fun place for a swim in an urban setting. Nantucket is home to some of the East Coast's finest strips of sand, so when you journey there, you'll want to make a point of discovering several of the island's 10 beaches: all open free to the public. Each has its allure, but there's something about Madaket that makes it unmissable. The surf is so wild here, you're better off appreciating nature's power than diving into the spray. Pick up fish tacos at Millie's, spread out a blanket, and stay for the best sunset show on Nantucket. What if you're just not a saltwater fan? Massachusetts delivers on the freshwater front, too, with lake beaches even in the heart of classic seashore destinations like Cape Cod. Before you get your freshwater fix at Princess Beach in Dennis, Massachusetts, climb the 1901 Scargo Tower on nearby Scargo Hill Road. On clear days, you can see as far as Provincetown and Plymouth from the top of the winding staircase, and you'll appreciate how near you are to the sea as you frolic in the warmer waters of Scargo Lake. This little beach in the woods is the alternative you're seeking if you want to spend a quiet day fishing, floating, picnicking, or reading. If you're interested in a beach with far more to do than sunbathing, head to America's oldest public beach. Established in 1896, Revere Beach in Revere, Massachusetts, is the backdrop for a variety of events including a Kite Festival in May, outdoor movies on Thursday nights in the summertime, the International Sand Sculpting Festival each July, Bocce on the Beach, and an annual Fall Festival featuring the Great Pumpkin Dash 5K. Take kiteboarding lessons with New England Kite School for an exhilarating, out-of-the-ordinary day at the beach. Sometimes, the beach at this Plum Island, Massachusetts, wildlife sanctuary literally goes to the birds. In the spring, when piping plovers arrive to breed and nest, this threatened species is given the peace it deserves, and visitors are barred from most of the beach. So, plan your visit for later in the year, and bring binoculars. The refuge's 3,000+ acres of salt marsh attract migrating shorebirds, songbirds and waterfowl. Yes, uncrowded Cape Cod beaches do exist—you just need to know their secret locations. In Wellfleet, the one worth finding is Bound Brook Island Beach, and you'll want to pack a lightweight cooler filled with provisions because there isn't exactly a snack bar here. Set your GPS for the Atwood-Higgins House on Bound Brook Island Road. From there, you'll continue along a narrow dirt road to a parking lot that holds only a handful of cars. Hike up the sandy hillside, and boom—you're looking at a Cape Cod Bay beach known chiefly to locals. Sunsets, with the tip of Provincetown in view, are spectacular from this quiet and remote fringe of sand.